With the horror of the collapse on 24 April 24 of the Rana Plaza building in Bangladesh still claiming more victims, now numbering over 1,000, and despite the remarkable news that one more survivor was recently found, attention has been drawn as well to the role of the various international brand holders whose products were manufactured at the site. The eight-story building housed five garment factories, at which clothing products for various well-known brands were made. A particularly interesting discussion on the issue appeared in a AP article dated 12 May ("Leaving Bangladesh: Not an Easy Choice for Brands", here). Brands mentioned in the article include Walmart, H&M, The Children's Place, Mango, J.C. Penney, Gap, Benetton, Sears, Disney and Joe Fresh. As described in the article, the choice facing these brand holders is stark: "Stay and work to improve conditions. Or leave and face higher costs, similar or worse worker conditions in other low-wage countries and criticism for abandoning a poor nation where pre-capita gross domestic product is just $1,940 per year." As for the specific site itself, it is not clear how many brands had product being made there. It does not appear that there is a media rush by brand holders to admit publicly any manufacture at the site, given that there is supposed to be an auditing of the conditions to ensure that work and worker conditions are reasonable. 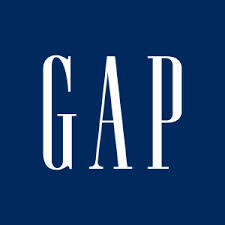 There is talk of campus boycotts against certain brands (the Gap brand is mentioned) and angry postings on the Facebook pages of Joe Fresh, Mango and Benetton were reported. To this point, most of the retailers listed above do not appear to plan to leave Bangladesh. On the other hand, Disney announced that is stopping manufacture of its branded goods in Bangladesh. It is not clear whether any other owner of branded goods being manufactured in Bangladesh will follow. Against this backdrop, it is interesting to consider the relationship how brands owners, especially those with an alleged connection with the collapsed site, might be affected by the Bangladesh tragedy. First, to this point there does not appear to be anything that would make any of the brand holders legally liable for the tragedy. Compare that with a situation in which the brand holder/manufacturer is directly connected with a faulty product bearing its mark. The J&J recall of the Tylenol product in 1982 comes to mind here. There, as well, an issue of life and death arose and the company faced a frontal attack on its fundamental goodwill and credibility, was wrapped up in the products bearing the Tylenol mark. With respect to the Bangladesh tragedy, however, while mind-numbing in its scope, the events do not appear to be directly connected with the action of any of the brand holders. That makes the issue much more nuanced. The challenge to the integrity of the brand lies more in the sphere of morality and trust, more amorphous and less acute than the J&J/Tylenol-like situation. Further, the considerations of the branded retailer may differ from that of a product brand holder. The former may well have a much more complex supply chain in Bangladesh, making it much more difficult to complete an exit, a least in the near term. Moreover, threat of a boycott are difficult, if not possible, to maintain for very long against a retailer. There is also the issue of public memory; none of the brands, at least as of the time of this writing, has prominently been connected with the disaster. Under such circumstances, unless a particular company is subject to a board and management that places a special emphasis on issues of morality and ethics, the most likely scenario is that the matter will ultimately fade away for most companies. Still, when the brands at issue are products rather than retail services, the risk may potentially be greater, In such a case, it may be easier for a pressure group (or even a single committed activist) to keep that specific product in the public's eye. Some companies, such as apparently Disney, may simply decide that the risk of adverse publicity is not worth it. A view was expressed in the article that, in the long run, other brands active in manufacture in Bangladesh will cut back or fully withdraw their operations over a period of time, despite the rock-bottom low labor costs in the country. It will be good to revisit in a year's time the roll call of brands actively having their products manufactured in Bangladesh to see how many have actually exited the country.